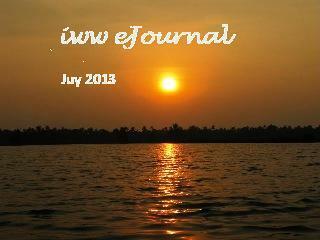 A warm welcome to the 19th issue of iww-ejournal. IWW is thrilled to present you with varieties of writing from our regular and new writers for your enjoyment and refreshment. The inspiring letters we receive every month from our writers make us continue our effort in making this possible. Rudyard Kipling says, "Words are the most powerful drug used by mankind." So use them carefully. We are also delighted to inform you that our veteran writer Eva Bell has brought out another interesting novel "Run Away Bride" which is available now for purchase.